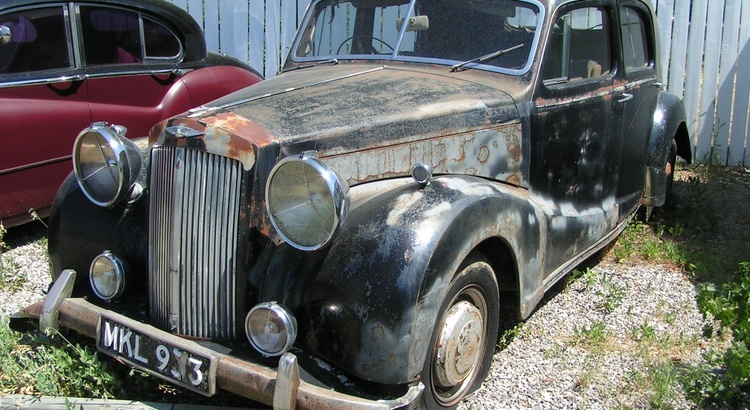 Austin A125 Sheerline with a 3995 cc OHV straight six engine. About 8000 made. Right hand drive with British plates (MKL 933).